Putting yourself in the tropics with the sea, sun, and sand is not only invigorating but provides a respite and reboot to our life’s hectic pace. I really love the tropics and as a photographer I feel it pertinent to capture the heart and soul of being there. I try to interweave creative compositional expressions and vivid colors into Mother Nature's tropical scheme of things. 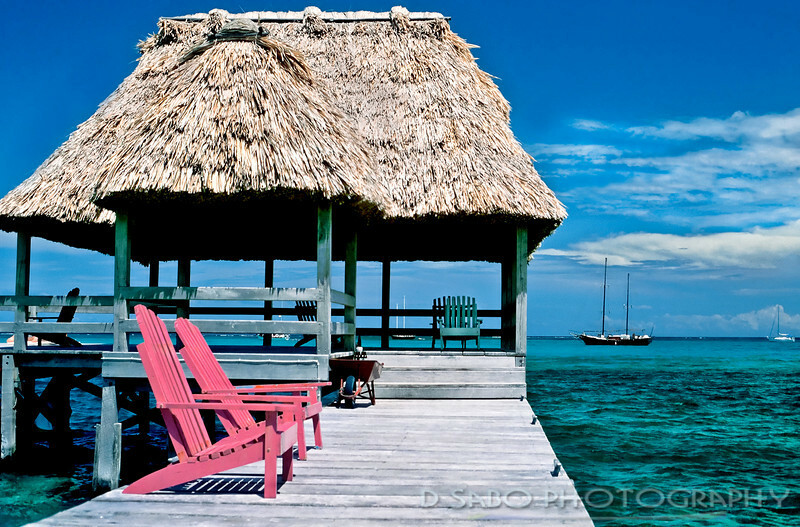 "Ambergris Pink" Thatched dockside pink chairs at a resort on Ambergris Caye, Belize circa 1990. All photos are © Dennis Sabo - Dennis Sabo Photography. All rights reserved. Unauthorized use is prohibited.